At last the official trailer for the newest Star Wars film, Rogue One, has been released and from first impressions it lcertainly looks promising, and hopefully will live up to the first recent Star Wars film, The Force Awakens. It’s set to be released on December 16th this year and we can’t wait to see it. Rogue One: A Star Wars Story is the first story in the Star Wars Anthology Series, which is the banner title for a series of upcoming, stand-alone Star Wars films. We know very little about what the other films are, but the second is rumored to be about Han Solo s due to be release in May 2018. But what do we know about Rogue One? Staring Felicity Jones, Diego Luna, Ben Mendelsohn, Riz Ahmed and Donnie Yen it is a story set between Revenge of the Sith and Star Wars Episode IV: A New Hope, with the later film being the closest. It focuses on the Rebel Alliance’s efforts to steal the plans to the Death Star, which was an event that was referenced at the start of A New Hope. 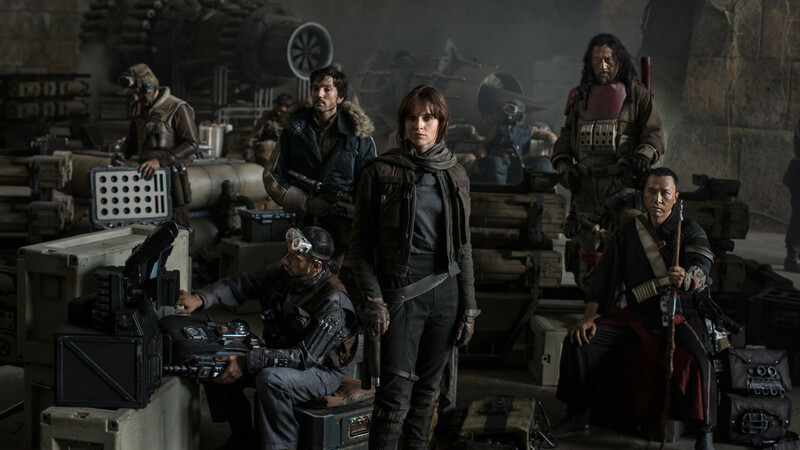 The main protagonist, Jyn Erso (Felicity Jones), joins with a group of people to steal the plans from the Galatic Empire. View the trailer for the film below and make sure to give us your thoughts. Is the film a day one view for you?